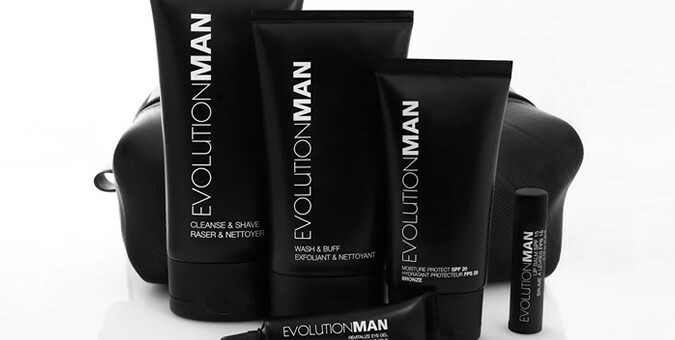 US-based skin care brand EvolutionMan is now vying for a slice of the UK grooming market as part of its plans for international expansion. The environmentally friendly firm has brought eight of its best selling products to online retailer MaleSkin. A mix of cleansers and cosmetic treatments make up the launch line. A daily exfoliating wash, dual-action shave cream/face wash and two matte SPF moisturisers, with and without a bronzing effect, are available alongside an under eye gel, SPF lip balm and three shades of blendable concealer sticks. Prices range from £8 for the lip balm to mid-priced concealers at £17.50 and the tinted moisturiser at £26. Despite a presence in Canada, Singapore and Ukraine, London is only the brand’s second outlet in Europe after the Netherlands. A separate spokesperson also confirmed plans to expand in to more independent retail and luxury department stores, including major chains in the UK. In the US, EvolutionMan sells accessories such as sports bottles and nail treatments, which could soon follow suit.